Join the thousands of entrepreneurs who receive ecommerce tips, resources, and news - Delivered directly to your inbox for free. 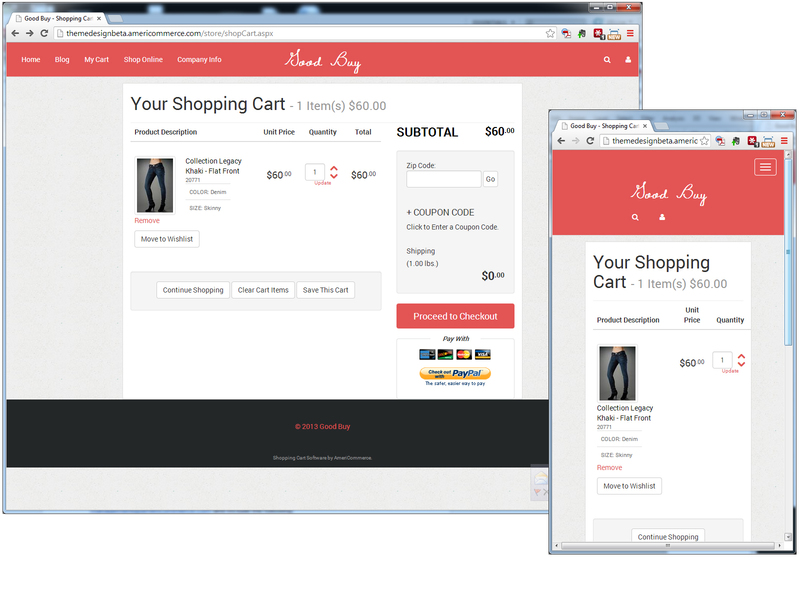 Interest, a fully responsive ecommerce theme, is now available for all AmeriCommerce users using the latest 2013.5 release of AmeriCommerce which includes the new responsive admin console. This theme is heavily inspired by Pinterest and features some awesome fluid layouts depending on browser width. This is one of three themes using the new Rev Theme Engine which includes customization controls to support amazing theme layout options. Deja Vu was our first theme showcasing our responsive layout options and new layout customization features. Minimal design on homepage, product pages, cart page and checkout page. Built on Twitter Bootstrap framework. All new one page check out that's customizable and responsive. 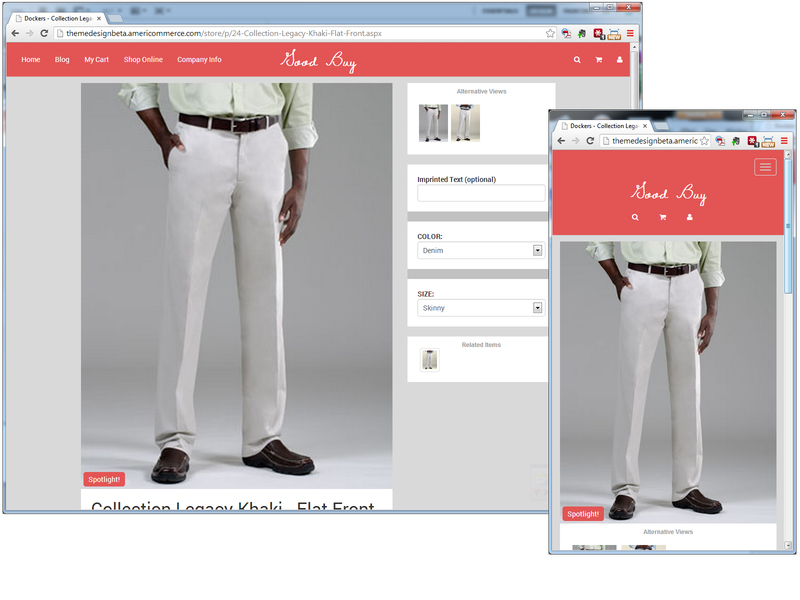 Responsive breakpoints for various monitor sizes and mobile experiences. Dropdown cart viewable from the nav bar with complete list of cart contents. Product Quick Views from home page and product listing pages. Write review form loads on page from a modal. Responsive theme includes default templates with and without sidebar. Most of our 30+ widgets already styled and supported when activated within this theme. 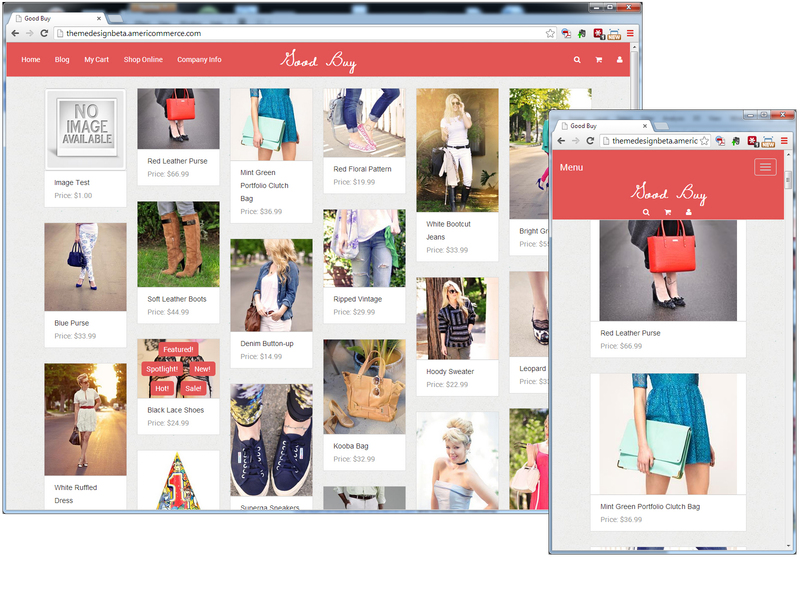 And dozens more custom layout areas available across product pages, category pages, blog and other store pages. 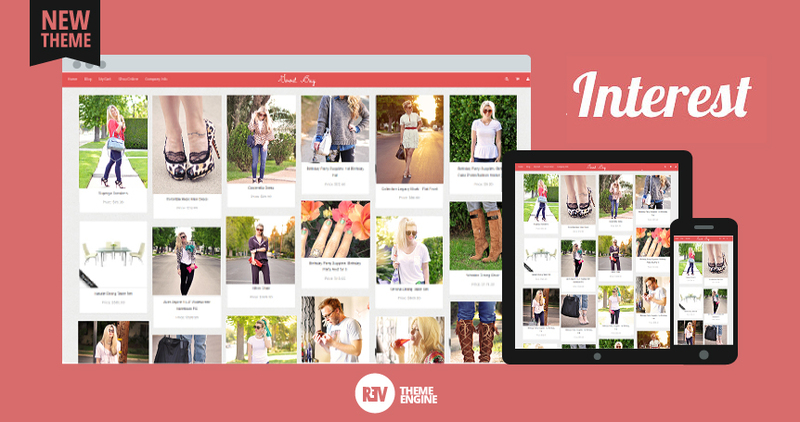 Because Interest Theme is built with the Rev Theme Engine, you'll have access to all sorts of customization tools for widgets and page layouts to extend the capabilities of this theme. We would love to get your feedback on this theme so be sure to leave a comment below. And, if you use this theme, we'd love to see it on your site. Get tips and resources for selling delivered directly to your inbox. This is a nice variation on the responsive themes you guys have been making available. Really nice theme for apparel.